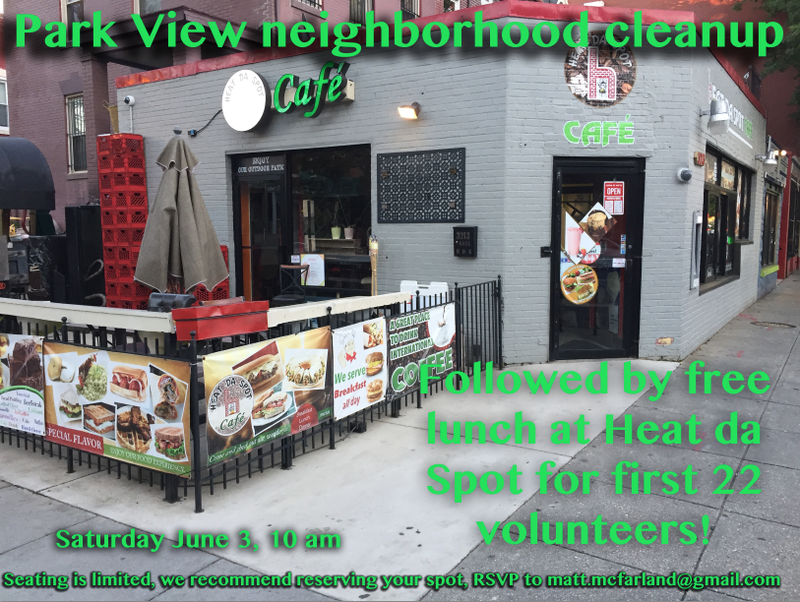 Next Park View Cleanup Includes Free Lunch at Heat Da Spot, June 3rd | Park View, D.C.
« What Are Your Thoughts About the Hebrew Home Development Proposals? 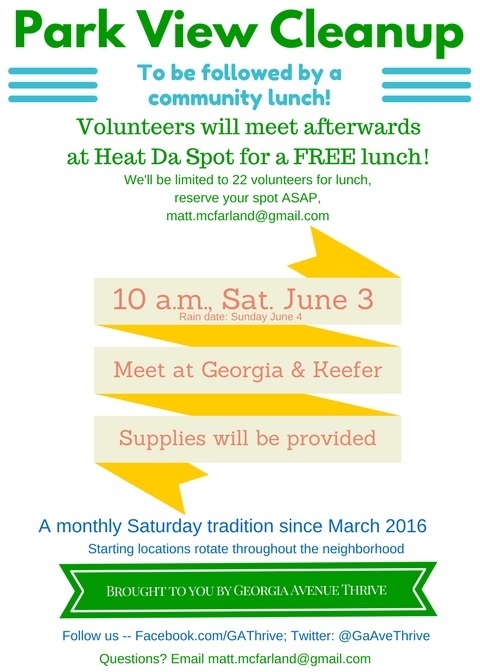 Georgia Avenue Thrive will hold its next neighborhood cleanup on Saturday June 3 beginning at 10 am at Georgia Avenue and Keefer Place. Immediately after they’ll meet at Heat Da Spot for a complimentary lunch from their generous sponsor and great neighbor! As you can imaging, seating will be limited, so email matt.mcfarland(at)gmail(dot)com to save your spot. This entry was posted on May 31, 2017 at 7:01 am and is filed under Community Involvement, Volunteerism. You can subscribe via RSS 2.0 feed to this post's comments.